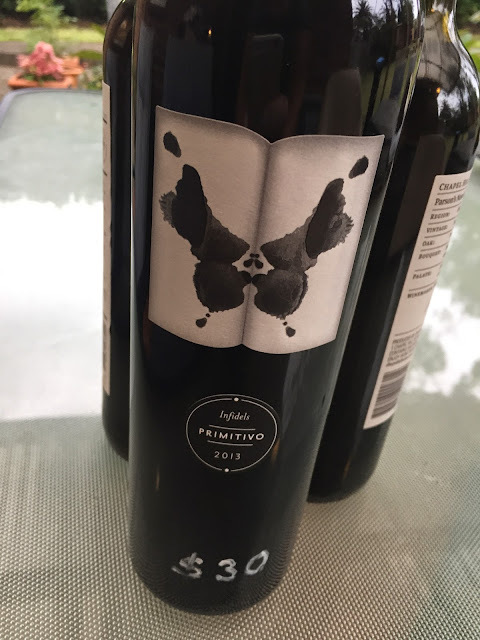 Dudley from Inkwell calls Primitivo his ‘little obsession’, praising this as a more structured iteration compared to previous years. Wild fermented, this spent 19 months in 28% new French oak, with 8% Shiraz included in the mix. Minimal SO2 and a TA of 5.55g/L and pH 3.77 suggests minimal acid additions too. It’s quite light coloured for McLaren Vale Primitivo, and while the first smell is indeed blackberry jam, there’s no excess of heat. Indeed its a mid weight wine, the blackberry and milk chocolate palate keeps hinting that it’s going to get big and ripe fast, yet never takes off. There’s something mince pie about the palate methinks, the light slap of drying tannins to finish. In some ways this is a slow burner. moderate and medium yet full of punch hidden underneath. I can’t but feel it’s an outsider though – there’s not the decadence of an equivalent Shiraz or the delicacy of a Grenache – making it feel like a blending component. A quality blending grape but not brilliant enough to be more.